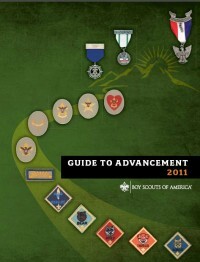 The BSA raised our eyebrows recently with the publication of the new Guide to Advancement, which replaces the Advancement Committee Policies and Procedures book that had been in use for several years. There are thirteen significant changes in the new guidebook, the pros and cons of which have been or are being discussed on other Scouting blogs and discussion groups. The changes are summarized in the Introduction, and range from editorial restructuring to some fairly big changes to the Eagle project process. Now, in place of the third test, units are allowed to establish reasonable guidelines as to what constitutes being “active.” Of course, there is no definition of “reasonable,” leaving it up to individual troops to determine that, and because it’s evaluated in boards of review, it’s the troop committee which has the responsibility to decide whether they want to use an activity benchmark and, if so, what it is. 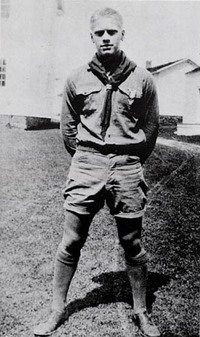 The revision also states that as long as the Scout meets the level of activity participation set forth by the unit, he passes the “test” and no further consideration of his status as “active” is in order. If, however, he doesn’t meet the unit’s specific expectations, a lesser level of troop activity is probably explained by his involvement in other endeavours of a positive nature, such as school, religious or sports clubs or groups, or other community service. As long as a board of review confirms that he is involved in activities in which the values of Scouting are being put to work, that qualifies him as “active” regardless of the level of troop participation. The new rule cautions troops that while they can set expectations such as payment of troop dues, parental involvement or uniforming, anything that’s over and above what would be used to measure whether a Scout is active cannot be used in the evaluation. If a troop committee dares to tread these waters, it should do so very carefully. Seek input from the Scoutmaster and from your parents. Look at the individual Scouts in your troop who are successful despite their outside participation. See what the average attendance is at your troop meetings and campouts. If you do set a metric, you also need to have a way to record attendance consistently. If you set the bar so high that nobody can reasonably attain it, your troop committee will have a lot more questions to ask at board of review time as your Scouts explain to you what they’ve been doing outside of Scouting. Well said. I think that while I understand why the units are now given this “opportunity” to set a standard of “Active” it will open up a a can of worms most committees are not willing to touch. Tred lightly and do whats right for the Scout is what I think. Previous PostPrevious What do trainers need to know?